Insurance check plan labelled 'absurd' | What Car? 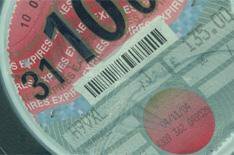 Proposals to ditch the compulsory motor insurance check when drivers apply for road tax have been slammed as 'absurd' by the AA. The Government proposal says that the removal of the insurance check could not only cut the number of uninsured drivers, but also generate an average saving of around 1.1 million per year in public leisure time savings and 0.5 million to businesses. It claims savings would be generated by reducing the amount of failed online transactions because many insurance policies expire on the same day as the car owner's tax disc forcing up to 600,000 motorists to travel to a Post Office to complete the transaction. The Government also believes that the current system merely offers a one-off snapshot of insurance cover, and that the recently introduced Continuous Insurance Enforcement (CIE) legislation is a more efficient way to tackle uninsured drivers. Ashton West of the Motor Insurance Database, added: 'The introduction of CIE last year was always designed to provide a more robust and technology-driven solution to ensuring that vehicles have insurance in place'. However, the proposals have been slammed by the AA, which says the move could encourage motorists to drive while uninsured. The consultation period closes on November 26.